Nationwide coverage: in the UK one of our engineers is only a call out away. We fly out parts and equipment anywhere in the world- the world got smaller with Maximus Chillers! Mobile workshop. Each engineer has an estate car with all the necessary tools and equipment to get the job going- fast! We provide a better service and don't charge as much. We are a non political CO2 company that will exceed your expectations! 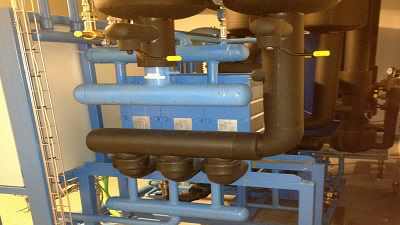 One of our customers has a CO2 chiller plant in his shopping centre. There are limits to the capacity of ammonia systems in the same location. He had the main chiller go down in the night at the weekend. We attended the call out within 4 hours and our engineer diagnosed the fault: a failed bypass valve. The part was ordered and fitted same day. Another happy customer! Our Contact Form is monitored and works- try it!